It’s something we all care about, right? Sharpness. As a landscape photographer, with very few exceptions, taking sharp photos will be an important part of your work. That’s why you’ve spent so much time learning about the technical side of photography — and so much money buying high-quality camera equipment. 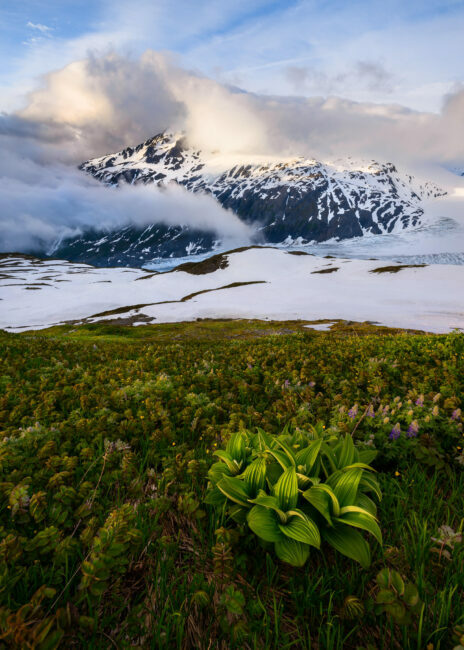 This article covers everything that matters if you want your landscape photos to have as much sharpness and detail as possible, including the 15 most important tips to keep in mind. On the same website, another discussion asked why young people don’t think of photography as “cool” any more. Sharpness is a rabbit hole. Do you want to have online debates like that one? Probably not. As landscape photographers, our collective answer should be probably not. Instead, spend more of your energy on the creative side of things. Practice light and composition, and think of sharpness as nothing more than another creative tool to match your vision. Is it important? Yes. Sharpness is another creative tool to capture your vision, and it absolutely matters in landscape photography. But chasing after maximum sharpness should not come at the expense of other elements of photography, and there is a point where sharpness isn’t what holds a photo back. With that in mind, the tips in this article aren’t all things that you need to do for every photo. You can take sharp photos without knowing all this info, and you can choose not to do some of the more time-consuming techniques below if it will take away from other aspects of your photography. Still, I elected to share more tips rather than fewer, so that you can choose how far you want to go. The items below start with the must-do tips, and end with some things that have a smaller effect. One of the most basic mistakes I see photographers make is to put a cheap, clear filter (also called a UV or haze filter) on the front of their lens for protection. 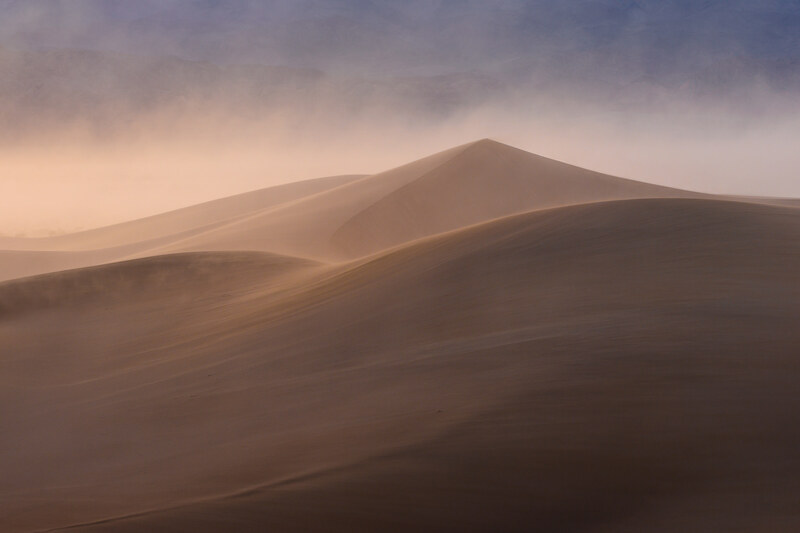 I will say that there are some cases where a UV filter will help — say, you’re taking pictures where sand and dust are blowing everywhere — but cheap ones always do more harm than good. There is never a reason to use an inexpensive UV filter on your lens, ever, since it will cause significant harm to the quality of your photos. At first, I thought this was a result of my lens (an 18-55mm kit lens) having poor optics. Actually, though, kit lenses are surprisingly sharp if you use them properly. Instead, the true reason for this blurriness is the cheap filter. Even worse is if you leave a clear filter on your lens all the time and never clean it. I’ve seen so many photographers shoot with a dirty, dusty filter on the front of their lens. Sometimes, they’ll tell me that their lens isn’t sharp and ask if I have recommendations for a new one — at which point, my recommendation is simply to take off the filter and see how much sharpness they gain. To let your lens reach its potential, only use high-quality UV filters, or none at all. Don’t believe Amazon reviews that say a $10 filter maintains your image quality; it doesn’t. If you absolutely have to buy a protective filter, you’ll regret purchasing anything except one of the higher-end versions. Personally, I don’t use clear filters, except in conditions that also require a face mask. I prefer lens hoods whenever possible (read more here about why you should use one), or something like a polarizing filter that I already have on my lens. No matter where you go, bring along a tripod. It’s as simple as that. For a landscape photographer, tripods are second only to lenses in their importance. They improve the sharpness of every photo you take. Tripods are heavy and expensive. They aren’t fun to use. But if you want the sharpest possible photos, you should carry one along anyway. Why are tripods so important? Quite simply, they minimize camera shake. With a tripod, you can use long shutter speeds without the shakiness from handholding a camera. No matter how steady you are, it’s impossible to take sharp photos at long shutter speeds without some sort of camera support. So, which tripod should you get? That’s down to budget more than anything else. 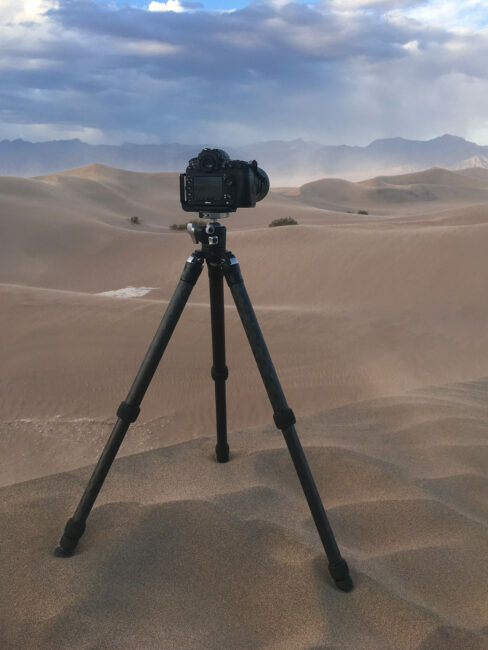 At the high-end side of things, a good carbon fiber tripod is worth the price, but it is out of reach for many photographers. The good news is that even a $10 tripod from the dollar store is infinitely better than nothing, and there are plenty of good tripods (See How to Choose and Buy a Tripod). If you’re trying to take sharp landscape photos, a solid tripod is step one. If you set up a tripod in wet sand or moving water, it will move while you take a photo. That defeats the entire purpose of having a tripod. For example, take a look at the photo below. I captured this image in Olympic National Park during a beautiful sunset. I like the colors and waves in this image, and the composition isn’t too bad. One problem, though: The trees on the left are very blurry. Note the blurry trees in the image. That’s because my tripod here was halfway underwater. Waves washed ashore during this exposure, and the result isn’t sharp enough to display at any decent print size. Granted, your tripod usually won’t be in the ocean, so this example is a bit extreme. But you still need to avoid placing your tripod somewhere unstable, such as on wet leaves or soft snow. If the ground isn’t solid, your photos may not be sharp. Most cameras capture at least two different file types: JPEGs and RAWs. Although JPEG files are quite common, RAW files have significantly higher image quality. This includes the potential for higher sharpness. Personally, I always shoot RAW photos, never JPEG. To me, the image quality boost from RAW files is worth the effort (larger file size, and more post-processing required). You can read more at RAW vs JPEG. Telephoto lenses magnify everything that you photograph — which is the whole point of using them in the first place. Unfortunately, telephoto lenses also magnify the blur in your photos. So, when you use a telephoto lens, always pay special attention to sharpness. If it’s windy, for example, consider lowering your tripod for extra stability. Ideally, you would do so by collapsing the thinnest leg sections. On a windy way, the best way to get sharp photos is to lower your tripod. That’s especially true if you’re using a telephoto lens. In difficult conditions (such as heavy wind or unstable ground), you may want to review your photos right after taking them, particularly if you’re using a telephoto lens. This way, you can know for sure if you captured your intended sharpness, and you weren’t robbed by unexpected vibrations from the wind. Of course, you need to be sure not to miss anything exciting in the landscape while you’re looking at your camera’s LCD, though. 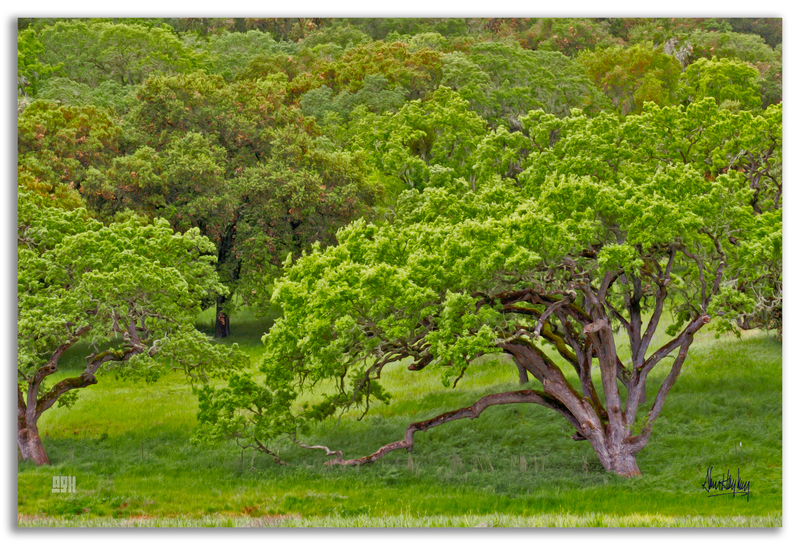 Telephoto lenses are great tools for landscape photography, but they take some effort to use. Still, if you’re careful, you’ll be fine. Just pay special attention to camera shake, and review important photos after you capture them. This is a very easy mistake to make. I see a lot of beginners with expensive camera equipment who don’t actually get sharp photos simply because they don’t know how to focus. First, a very easy mistake: Many beginners think that “pros” use manual focus, and nothing else. Not only that — these same “pros” use manual focus by looking through the viewfinder, then spinning their lens’s focusing ring until things look sharp. No! Advanced photographers use autofocus all the time. In fact, even as a landscape photographer, I use it more often than manual focus. I only focus manually when I’m not in a rush, I’m using a tripod, and I’m in my camera’s live view mode. That way, I can magnify things 10x or more, making sure that I manually focus on exactly the perfect point in the image. High magnification in live view. So, where’s the perfect point to focus in a landscape? Sometimes, the answer is just to focus on your subject, if its sharpness matters more than anything else. Other times, you’ll want to have the entire landscape from front to back as sharp as possible, and that’s where things are a bit trickier. Here’s an example: Say that there are two important elements in your photo — a flower for the foreground and a mountain in the distance. In most cases, you’ll want both of them to be equally sharp. So, where should you focus? The answer, of course, is between them. Of the two, I would focus closer to the flower, since lenses have more depth of field behind your focus point than in front of it. Technically, in fact, the best spot to focus is at twice the physical distance to the closest item in your photo, assuming that you want the foreground and background to be equally sharp. If your closest foreground object is one meter away, focus on something two meters away. We have a more in-depth article about that goes into this discussion as well, which I recommend reading if you want more information. The closest element in this photo is some grass at the very bottom of the frame. I focused twice as far away, which aligns roughly with the far edge of the large corn lily plant in the foreground. Exposure can be a complicated topic. It even requires its own article. Your camera settings have a huge impact on sharpness, which is one reason why people spend so much time trying to learn them in the first place. I’ll only go into a simple explanation here. Use your camera’s base ISO — usually ISO 100 — whenever possible. A low ISO is best, since it lets you capture as much light as possible (resulting in the lowest amount of noise/grain visible in your photo). Let your shutter speed fall wherever it needs to be. You want the photo to be the right brightness. Assuming that nothing in the photo is moving, and you’re using a tripod, you can set any shutter speed without a problem. However, if your subject is moving quickly, you’ll have to use a faster shutter speed to freeze any motion blur. This will darken your photo, but you can compensate by increasing your ISO if necessary. Don’t use your camera’s fully automatic exposure mode. It might not recognize that you need a large depth of field. Instead, use a mode like Aperture-Priority, where you select the aperture (something like f/8 or f/11) and ISO (your camera’s base value, often 100), and the camera sets the shutter speed. If the resulting photo is too bright or too dark, use exposure compensation, which will make the camera adjust the shutter speed to compensate. This is a simplified explanation, of course, but it’s accurate for many landscapes if you have no idea where to start. The more you learn about exposure, the more nuanced everything becomes. The steps above are good guidelines, but they don’t work all the time (such as nighttime photography, which is a completely different ballgame.) I thought about including a complete explanation of exposure in this article, but there’s a lot of information to cover. Instead, I recommend reading this instead: Understanding Exposure: A Beginner’s Guide. If you’re interested in learning about the best practices of exposure, including sharpness, that’s what you’ll want to read. Otherwise, the four steps listed above should be enough to start you in the right direction. After all, exposure is something you just need to learn for yourself — it’s nice to read about online, but there’s no substitute for taking pictures in the field. At ridiculously small apertures, you’ll run into the problem of diffraction. This is when the aperture in your lens is so small that it drastically bends light and causes it to interfere with itself. If your only goal is to create interesting photos, camera equipment doesn’t matter as much as other aspects of photography (though it is still important to use something which makes it easy to capture your desired photos). However, in terms of sharpness specifically, there are some differences even among high-end gear. Luckily, camera equipment today is the best it’s ever been. Never before has such cheap gear been able to produce such high-quality and sharp photos. Digital cameras are an amazing value, and even film cameras are vastly more affordable today than they were just a few decades ago. The cheapest consumer DSLRs and mirrorless cameras have more than enough image quality for a good print. No matter what camera you own, even if it’s just a smartphone, you can take good landscape photos. A sharp landscape photo taken with the Nikon D5100 and the 18-55mm kit lens. This is one of the cheapest DSLR kits you can find (and it’s old enough that Nikon discontinued it in 2013), but the result is still plenty sharp for a large print. Still, depending upon how you output your images, you’ll find some noticeable differences in sharpness between various pieces of equipment available today. For example, large camera sensors with a lot of pixels will — all else equal — capture more detail than other options on the market. The same goes for high-end tripods, which tend to dampen camera shake better than cheap options. Finally, pay attention to the sharpness of lenses that you buy, but not too much attention. Some lenses absolutely are sharper than others, but these differences are mainly visible at wide apertures, which landscape photographers don’t tend to use. Although there are some sharpness differences among modern lenses at apertures like f/11, they are not as large as you may think, and generally are not worth obsessing about. If your camera or lens has vibration compensation, turn it off when you use a tripod in stable conditions. This isn’t a big deal, but, sometimes, it might end up compensating for vibrations that don’t exist (harming the sharpness of a photo). More likely, it will just take up some battery power. But it won’t improve the sharpness of your photos if your camera is already completely stable, so you might as well turn it off. It was very windy while I took this photo. I used vibration reduction to maximize my chances of getting a sharp photo, even though I shot this from a tripod. When the mirror in your camera moves, it causes blurry photos. Even if your camera doesn’t have a mirror (i.e., mirrorless cameras), the shutter will move and potentially cause blurry photos. Mirrors and shutters typically don’t add a lot of blur, but you’ll notice their effects if you’re looking closely. Luckily, you can fix this type of blur with a simple menu option available in most cameras. Depending upon your equipment, it may be called something different: Exposure Delay (Nikon DSLRs), Mirror Up, or electronic first curtain shutter (mirrorless cameras, and some DSLRs). Turn on exposure delay mode. The camera raises the mirror, waits a second, then takes a sharp photo. Turn on mirror lockup mode and two-second self timer. The camera raises its mirror, and takes the photo two seconds later. With Canon in particular, it’s very important to enable the two-second self timer. Otherwise, you’ll need to press the shutter button twice — once to raise the mirror, and once to take the photo. The problem with that method is that your second shutter press happens right as the camera takes your photo, which means that you may introduce camera shake by pressing down the button. 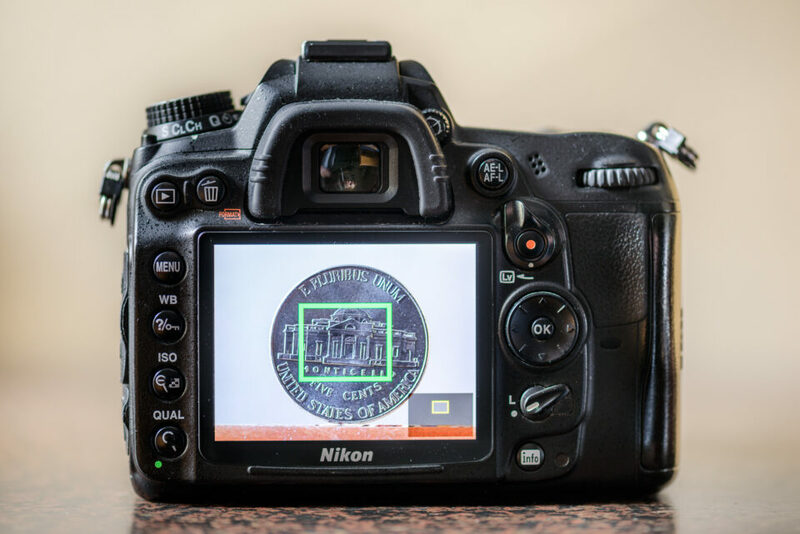 Even if you have a Nikon or Canon camera, the exact steps to minimize vibration as much as possible may not look exactly like this on your camera, or you may have additional options (such as the separate electronic first-curtain shutter on the Nikon D810 or D850). When in doubt, read your manual, or search online. Some mirrorless cameras work the same as Canon’s DSLRs. You can set their electronic first-curtain shutter, but you’ll still get shake from your hand when you press the shutter button. Once again, the only way to fix it is to turn on your self-timer as well as the electronic first-curtain shutter. In the good old days, photographers had to use shutter release cables in order to get rid of mirror vibrations and shake from pressing the shutter button. Luckily, modern cameras are better — just turn on your mirror lockup instead, as described above. Skip the remote release unless you’re planning to take photos with extremely long exposures (shutter speeds more than thirty seconds), or if you have other special requirements (such as timelapses or photos without a two-second timer delay). 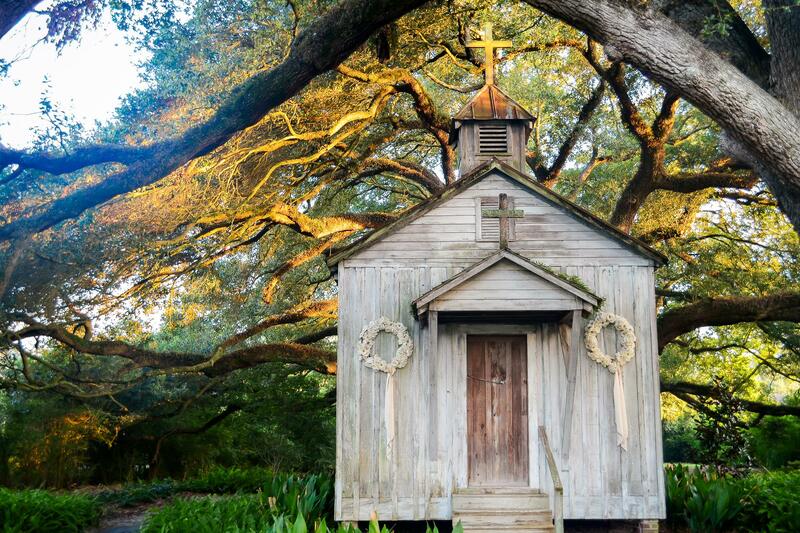 If you’re really crazy for sharpness, you may want to combine multiple photos together. Why would you do this? Simply put, every lens has a “sweet spot” aperture where it’s as sharp as possible. Usually, that sweet spot happens around f/4 or f/5.6, which might not be your typical landscape photography apertures, since they may not offer enough depth of field. Still, if you really need the extra sharpness from those apertures, all is not lost. You can compensate for the shallow depth of field by merging a set of photos together. For example, what if you took two photos at f/5.6 — one focused on the foreground (with a blurrier background), and one focused on the background (with a blurrier foreground)? You could then combine these photos and take the best parts of each one! In practice, this is called focus stacking, and it can work quite well, assuming there is no obvious motion in the scene. Of course, focus stacking isn’t always a good idea. It doesn’t work if anything in your landscape is moving too quickly, and it also takes more time (and memory card space) for every photo, including time in post-processing. That’s why I personally tend not to use focus stacking in the field. Instead, I nearly always take just one photo of a scene, focused properly, rather than going for a maximum-detail focus stack. I only use this technique when f/16 isn’t even enough depth of field. Still, other photographers use focus stacking far more often, and find it a crucial technique for their work. My main recommendation is to make sure that you’re using it for a good reason, since it may not be worth the effort to gain every extra pixel of sharpness at the expense of time in the field and post-processing (and a greater potential for errors). If you’ve decided to use a UV filter, pick a high-end option, and made sure that it doesn’t reduce the sharpness of your photos. Use a tripod, and make sure the ground is stable. If it’s windy, collapse the thinnest section of your tripod and lower the center column. Use vibration compensation if your lens has it. Shoot in RAW, not JPEG. Review your photos to make sure that they’re as sharp as you want (especially if you’re using a telephoto lens, which magnifies any motion blur). 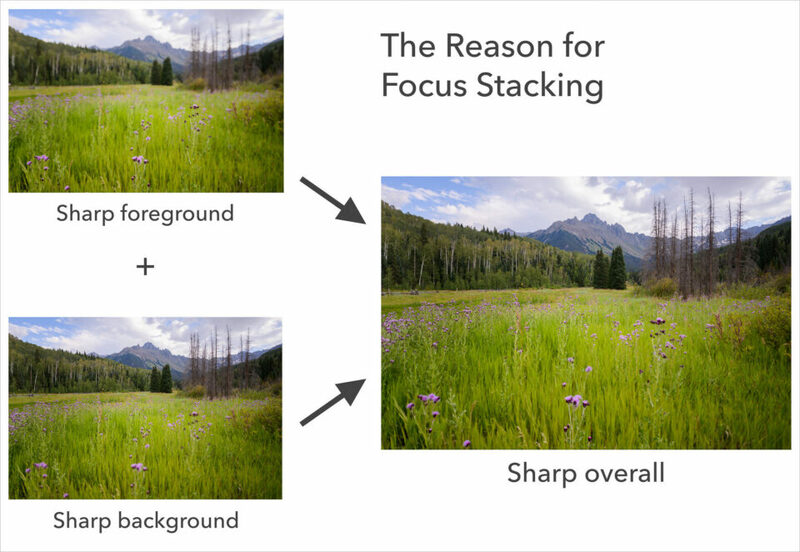 Focus properly — either on your subject or at the hyperfocal distance. And, if you’re using manual focus, magnify the LCD screen in live view to make sure that you’re actually focusing where you want. 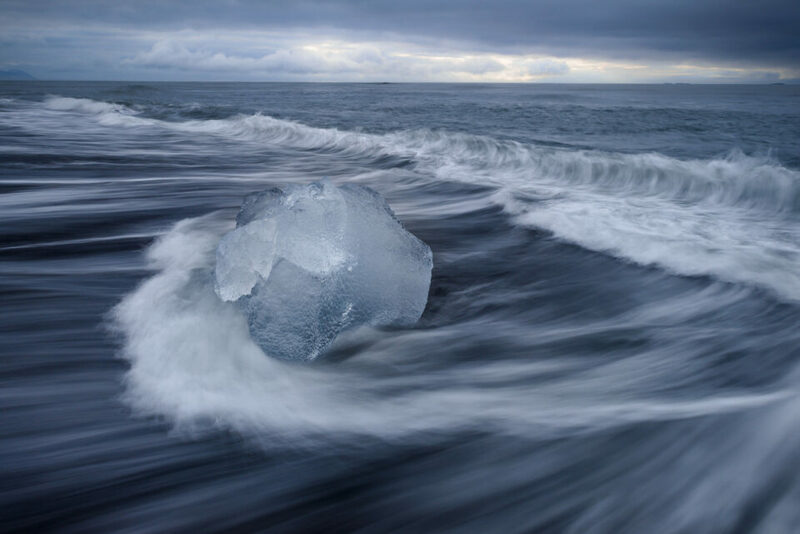 Pick a fast enough shutter speed to freeze any motion in the landscape. Aside from that one constraint, it can be as long as necessary in order to capture a photo with the proper brightness. Use a small enough aperture to get the proper depth of field (often f/8, f/11, or f/16 for full-frame cameras). Avoid apertures that are so small that the diffraction is too strong. I don’t recommend using apertures like f/22 or f/32. Set your camera’s base ISO whenever possible. Still, don’t worry about raising it if your chosen aperture and the longest usable shutter speed don’t give you a bright enough photo. Use a good lens, a stable tripod, and a high-resolution camera with a large sensor. With a tripod, turn off vibration compensation in your lens (or camera body), unless it’s windy. Turn on your shutter delay mode (Nikon), your mirror lockup and self-timer (Canon), or your electronic first-curtain shutter and self-timer (mirrorless). If you’re after every last ounce of sharpness, use focus stacking to combine photos at different focusing distances. Don’t actually focus stack photos unless you have a very specific reason, since it’s prone to errors until you thoroughly understand its limitations. That’s a lot of information! How could one person possibly keep all of this in mind while taking landscape photos? In practice, though, you’ll end up learning all of these automatically as you keep taking photos. Sure, you may forget to turn off vibration compensation from time to time, or you may not use the ideal aperture for a given scene, but that’s fine. After a bit of practice, it will all be second nature. With so many factors to remember, maybe you can see why a lot of people online say that perfect sharpness doesn’t matter! It’s not easy to learn and remember all of this. Sharpness does matter, though, at least to a degree. If you have tack-sharp prints, your audience will be impressed. If you enter photos into a competition, judges in the final round may care about the overall sharpness. And, if you crop your photos in post-processing, every extra ounce of detail is helpful. Just don’t take it too far. If you spend more time thinking about sharpness than the creative side of photography, you should shift your priorities. Sharpness matters, but it’s just a small part of taking the best possible landscape photos. Thank you so much for the simplified version on this topic. I always look forward to your writings, something to keep in mind when I am taking photos. Very glad that you enjoyed it, thank you Sompoon! I’ll add two more points that usually help. 1. Take multiple shots of the same scene. Either with the same focus or after refocusing each time. You could also vary the aperture to get a different depth of field for each shot. Then pick the best image (and there will be one that’s superior). 2. Bracket your shots (unless you’re absolutely confident of your exposures). This will also give you the flexibility to merge images together later if you want. Basically, it gets you your perfect exposure. 3. Use an infrared or radio trigger remote to take the shot. No contact with the camera at all. Mirror lockup is still desirable unless you’re shooting at very high shutter speeds. You don’t need to press the shutter release twice with mirror lockup on Canon. A single press will do. Also, many Canon cameras have the option of taking multiple shots with a timer which can be very useful. Glad that you added these, thank you! Bracketing photos (for exposure, focusing, aperture setting, and so on) is an excellent practice, especially if you’re not pressed for time. There’s nothing worse than capturing a spectacular photo that is unpublishable due to a simple error in something like focus or exposure. Also, very glad that you caught the double-shutter error. I’ve corrected the article accordingly! Thank you again for another excellent article Mr Cox, I always look forward to your contributions here. I was recently evaluating some of my protective UV filters and discovered that they were indeed leading to blurry pictures. Thank you, John, glad you enjoyed it! Those UV filters can be a sharpness killer (although top-of-the-line ones are far better than cheap ones). I still use mine from time to time, but only when I feel that conditions are specifically likely to harm the front element of my lens. I tend to prefer a lens hood whenever possible. I now use clear filters from quality manufacturers like B+W. I am clumsy and appreciate the added protection but do not like the looses from many UV/Haze and all cheap filters. Still, as you say, they only help if they are clean. If you want the added peace of mind, that’s the best route — a good UV filter from B+W (or similar quality) that you keep as clean as possible. Just a note. The filters I buy are the clear optical glass filters and not the UV filters. They are simply protective and do not filter the UV light. Minor difference but it avoids the minor influence of the UV filter whil protecting the front of the lens. That was very helpful, thank you! I used to shoot B&W film on an OM-1 about 20 years ago in college. I started getting back into photography about a year ago. For budget/nostalgia reasons I got the OMD-EM10II. I’ve been pretty happy with it, except for the sharpness I’ve been able to get in photos. The first thing I’m going to try is not stopping down so far. I’ve been try to shoot at f/16 for sharpness/DOF; I didn’t realize I needed to divide that by the crop factor and shoot at f/8 instead. Bill, that is quite true! It is strange to me how frequently photographers mention the equivalence calculations for focal length/angle of view, yet rarely mention that you will see diffraction more quickly on smaller sensors (for a given output print size). With a full-frame camera, a typical aperture range for landscapes would be from f/8 to f/16. For micro four-thirds, that would be f/4 to f/8, due to the 2x crop factor. It’s not as though you never should use a smaller aperture, but the blur from diffraction at that point will start to become quite visible. Glad you found the article useful! Excellent article! Thank you Mr. Cox! The information on the UV filters may have just corrected some of my problems. Yeah, Spencer nailed the point about UV filters. They frequently cause problems. I almost always purchase high quality B&W filters (a couple of Hoya’s thrown in) and even they will cause problems with some lenses. I have two in particular are much less sharp with any UV filter and one is a 2k lens (Nikon 80-400). The other is a cheap consumer lens – Nikon 70-300 VR. As Spencer suggests, if you aren’t getting sharp results from a lens, take the filter off and see what happens. I was completely shocked at the difference with these two lenses! Sceptical1, agreed! My UV filters also are high-quality B&W filters, and although they are quite good, the simple fact is that they’ll never improve image quality. At best, they wouldn’t affect it at all — but in practice, I see a bit extra flare/ghosting when I use the filter, in part due to the two extra surfaces where dust can accumulate. Keeping it clean is essential, and even then, I would rather go without a UV filter whenever possible. sceptical1, if you’re worried about damage to the lens and want to use a filter to protect it, there are no “clear” filters that have no optical qualities at all – their sole funtion is to protect the front of the lens. Waabishka, very glad to hear it! I hope you’ll see a clear improvement when you test with and without the filter. Great advice Spencer, thanks for the summary. One point I disagree with: when I’m on a tripod I always want to use a remote release. It just makes it so easy to keep your hands off the camera and eliminating any blur from that. Curious as to why you suggest to not use remotes. Thanks, John! Fair question. It’s not that there is something wrong with using a remote release, and you certainly should continue using yours if it’s useful in your own photos. I wrote that simply because, in most cases, you’ll already be using a self-timer of sorts in order to eliminate mirror/shutter shake. At that point, the self-timer also eliminates shake from pressing the camera with your hands, so an external release to fill the same purpose could be redundant. There are several other reasons to use a remote release, though, so it’s still good to keep in your bag — just not necessarily with the main goal of minimizing camera shake. If you are shooting Nikon, you may have a built-in infrared remote release — and the remote unit only costs four bucks (from a third party)! The built-in is good if you’re under time pressure. There’s nothing to set; just keep the unit in your pocket. There’s a reason not to use the built-in: you won’t be able to use the mirror lockup. You can, however, buy a cabled release for under $30 that allows you to use any of your camera’s features, including mirror lockup. But you’ll have to take time to attach the cable. My point is: shutter release is cheap and easy, and there’s no reason not to use it for tripod landscape shots, not even price. It will never hurt your landscape, and will almost always improve it. Excellent solution to the shutter shake problem! I wish that feature existed on my D800e. Didn’t know that was the case, thanks for adding this. Normal Live View on Canon doesn’t mitigate the shutter shock. Try shooting a long Telephoto lens on a slow shutter speed with live view and you’ll see the shake even if you use a timer or a remote. 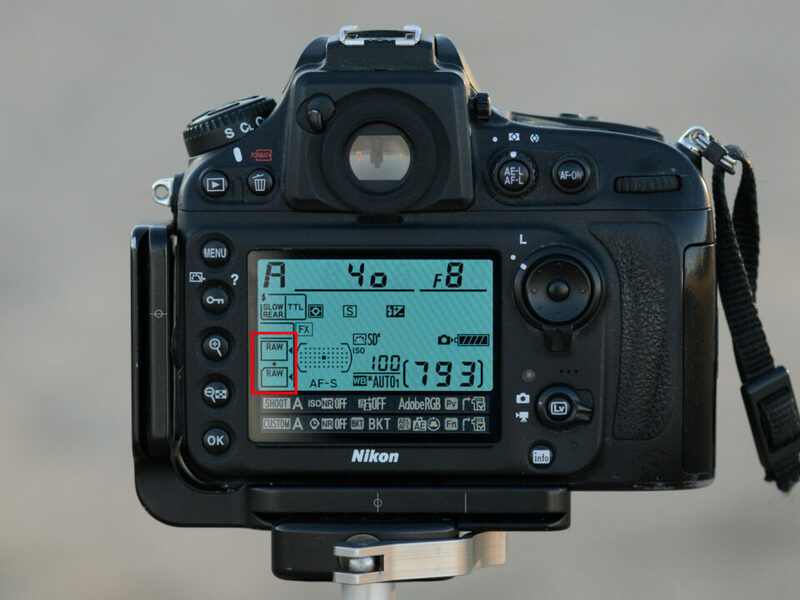 Newer Canon bodies have a used selectable “silent” mode in live view which activates EFCS and prevents shutter shock. This needs to be selected explicitly. You should use a remote release, because quite often the two second timer is inadequate to dampen the vibrations (caused by pressing the shutter button) fully. On older bodies like the 1Ds mk iii, you have to use mirror lockup along with a cordless remote release for the best results. For me to make the sharpest image is to examine the live view image at 100% from corner to corner at the aperture that you are going to use. Often you have to find a compromise of corner and center sharpness… especially with wide angle optics. Yes, a tripod is needed too and i use a remote. Very true. Frequently, the sharpest aperture will be quite different between the center and the corners of a photo. Personally, I tend to prefer uniform sharpness from center to corner, even if the overall amount is slightly lower. That tends to mean smaller apertures win out, at least for me. There certainly is an element of personal preference here. Great review article, Spencer! I always enjoy your articles… they are technically sound sprinkled with the reasons you make your choices. Your beautiful images back up the narrative and drive home the points you are making. Happy photographing in 2018!! Thank you, Georgette, I’m glad that you enjoyed this one — and Happy New Year to you as well! Great article, Mr. Cox. I will be sure to check your other articles. Easy to read and to follow. Not always an easy task when discussing photography. Thanks! Maria, thank you, happy to hear it! As far as the challenges of writing about photography, your assessment is quite accurate! Especially for the more technical articles, I usually end up writing and re-writing them a few times before they make sense and flow logically. It’s the sort of thing I’m sure I’ll never master, but hopefully will keep improving. Thank you very much. Your articles are clear, concise and most helpful in my development and increase my keeper rate. I’m glad you enjoy them, thank you, Gregory! Definitely appreciate the feedback. Good article, there is a lot to think about to get the best results. I find that I am often using a graduated ND filter for my landscape shots. Thank you, Mark! Graduated ND filters can be quite useful for landscape photography, particularly when you are trying to capture everything in a single shot. Thank you. Another very useful article. you say that you do not go smaller than f16 because of diffraction. What type of photography would you use f18, f22 etc. At what point of enlargement do you start noticing diffraction. I do occasionally use f/18 or f/22 for landscapes, although I try not to go beyond f/16 if possible. However, for high-magnification macro photography, it’s not uncommon for me to use f/22, and every once in a while f/32. But those circumstances are different, since it isn’t possible to do focus stacking (since I do my macro photos handheld). As for when I notice diffraction, it definitely depends upon a number of factors, including the print material. If you’re really looking closely, and you have a print material that shows high levels of detail, you’ll be able to see differences between f/8 and f/16, or f/16 and f/32, even at quite small print sizes. However, all of this is especially relevant if you’re printing 12×18 or larger. Certainly at 16×24 or 24×36 sizes, you will see noticeable differences. I highly recommend testing this out for yourself to see exactly what you are comfortable with. It’s not as though f/32 is completely unusable — just that you typically can do better. Thank you so much. These are questions that I have been asking and could not find an answer to. Excellent article, thank you. I love how you mention that aperture settings are for FF and differ for DX. Most articles don’t make this distinction. I will also leave my UV filter off unless in very windy conditions as I sometimes shoot in areas where small pieces of dirt and gravel are blown onto the lens. Thank you, Beverly! Yes, to me it is key to lay out the sensor size differences, since it has a significant impact on which apertures are sharp enough for large prints. I would be fine using f/16 on a full frame camera, but would strongly avoid it if I were trying to create a similar-sized print from a micro four-thirds camera. And that is quite true, UV filters are useful when the wind is strong enough to blow particles at your lens! Excellent and concise article, thank you! I couldn’t agree more with your recommendation to spend more time on the creative side of things–the pixel peepers can always have their forum battles. Mark, thank you, glad you enjoyed it! As a whole, the technical side of photography really is nothing more than a creative tool that you have at your disposal. Things like proper exposure, sharpness, pixel count, noise, and so on — they matter because of their impact on the creative side of your images. A photo with insane levels of noise will carry a different message than a clean, high-detail photo. So, I can see where pixel peeper battles arise, in the sense that it is important to know how to capture the technical characteristics you want. Certainly, we have published several technical articles on Photography Life! But to think that the technical side of things is more important than the creative, or the only side of photography worth studying, is a recipe for “sharp photos of a dull subject.” Technical characteristics do matter, but people’s first opinion of a photo will be based upon elements such as the subject, light, color, and composition, with image quality just being one of many creative factors to get right. Instead of shutter delay on my D750, I’ve been using the mirror-up option for the IR remote. The first click raises the mirror, and the second click triggers the shutter. The nice thing about this is that you can wait for the ideal instant to trigger the shutter in windy conditions, that is, when there is a temporary lull in the wind. It’s far more often than not windy where I live, and blowing flowers, leaves, vibrating tripod, etc. are a problem with less than fast exposures. When you use shutter delay, you have to specify a fixed interval of time between mirror-up and shutter release, and it’s difficult to predict seconds ahead of time when that wind will die down. Happy New Year to you as well, Mustafa, and I’m happy that you liked the article! Hi Spencer, a great article as usual. I mostly have used a D800 for landscapes, using the usual mirror lock up and a remote to get sharp images, however I also use a Sony A7r2 when travelling and was interested to note your comment about using Electronic First Curtain Shutter, to achieve reduced camera shake on mirrorless cameras. There is quite a lot of discussion about Electronic First Curtain shutter, especially regarding the Sony A7 cameras, causing “banding” under artificial light and having “Bokeh” issues at high shutter speeds. 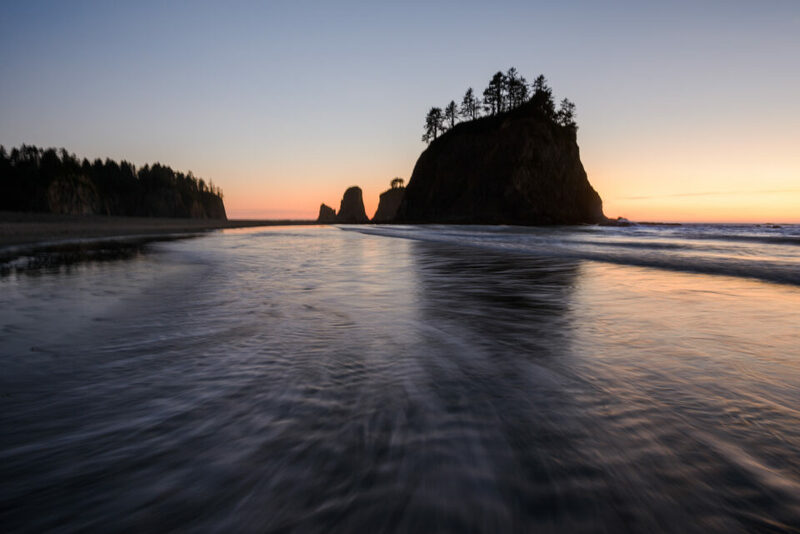 High shutter speeds shouldn’t be a problem shooting landscape, but it may be worth anyone using a mirrorless camera for landscape images to check out some of the discussions on this subject. Personally, I use a tripod and remote with my A7r2. Thanks John, interesting points! As someone who uses Nikon rather than Sony, I wasn’t familiar with the potential issues with the EFC on the A7 cameras. You are quite right to point out that things like bokeh and artificial light are less common for landscape photography, so it is more of an issue for general work, but still not ideal! Thanks for adding this. Thank you so much for this article! I have learned so much. I am pretty new into photography and really love it. I look forward to learning more! Thank you for all the info! Very happy to hear it, thank you for the feedback, Teela! Thanks for an excellent and all-encompassing article. Your stance against UVs came as a shock since everyone swears by it. I’ll have to try it out and find out for myself. About the aperture choice. You’ve mentioned about full frame and MFTs. But what about us Johnnies come last year with bright and shining Nikon D3300? What would you suggest? I’m saving your article for re-reading and frequent reference. Thanks once again. Wish you all there a very happy, productive and prosperous new year. Glad you enjoyed the article, and happy New Year to you as well! The key in terms of aperture is to divide by your crop factor. Since the crop factor on the D3300 is about 1.5x, you can divide the landscape photography suggested range of f/8 to f/16 and get a range of roughly f/5.6 to f/11. It’s not as though you should never go outside those apertures for landscape photography, but just that this will tend to be the most typical set of apertures to use for landscape photos with a good balance between depth of field and diffraction. Hope that helps! Thank you Spencer for the extremely helpful article. Please would you give me your thoughts on using a polarizing filter. Wonderful article. I, too, had never seen a discussion of dividing the aperature by the crop factor when thinking about achieving high levels of sharpness in a photo. Thank you for that information. I don’t think I should have been allowed to read this article, Spencer – thank you thank you thank you – I can’t say it enough times! Finally, an experienced photographer, drowning out the chatter with some common sense! You can’t imagine how much I appreciate your article! I have had way too many of those pixels discussions and, in the end, I abandoned them – so I could get back to doing my own thing. In all the chatter, a few things did turn up that I found interesting. Heaps of smaller pixels can apparently leak into each other – horrors! – think what that would do to clarity! I’ve no scientific data on it though. And MF cams, with far bigger sensors, apparently record a lot more detail in the highlights than the FF and smaller sensors can – so if your landscapes scream for detail in the highlights, forgot the arguments about 36MP vs 42MP on a FF cam, and go get an MF cam. Terrific piece, Spencer. Practical and helpful tips for improvement – I understand that you are generally outlining places to start for better landscape photography, rather than end points. Thanks for providing your insights – Happy New Year! Great tips and advice. I might add a simple technique for shooting in windy conditions. Sometime when it is very windy you will be unable to take a clean pic without blur, especially if you are shooting with long/big lenses that get hammered by the wind and as a result shake during your exposure. Try to use aperture and ISO settings to minimize (shorten) shutter speed if you can. More often than not I set my shutter release for a 2 second delay, compose my shot, lock down my ballhead and gently rest my hand or wrist on the end of the lens pushing downwards ever so slightly to minimize shake caused by the wind. Take a breath, press the release and don’t move. You may have to adjust your composition for the downward movement of the lens with your arm resting on it. I am able to take a clean image in gusts to 25mph with good technique. Time your shutter release as best you can to take advantage of lulls in the wind if your subject allows. You always write the best articles, very informative…taking filter off..Thank you! This might not be the right place for this question though it is about sharpness but pertaining to print size, so it is a little off topic. I notice you use a full-frame Nikon D800. I have a Nikon 7100 which is a smaller sensor DX camera. What are the practical realistic limits for print sizes (assuming no cropping) between the full-frame senor and DX versions? Hi. Brilliant article, thank you. I do struggle with focus problems which I’m trying really hard to fix. This article has given me some ideas to try. Great article – very informative. 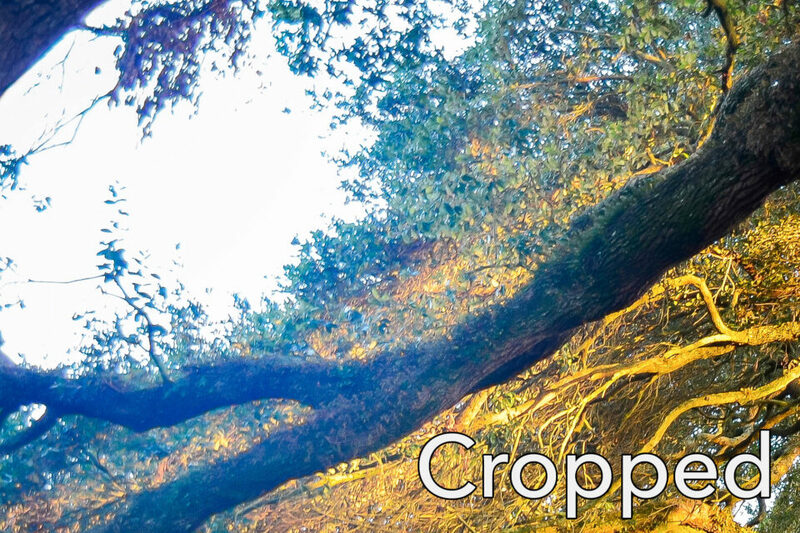 Own a D300 and never heard about figuring “crop factor” range until now. Thanks. Question: how do you protect a D300 and lens(es) from sand when shooting in the windy or non-windy desert? Suggestions? UV filter? Thanks for your great article for us visual learners. Your photo examples tell so much as one reads your text. Last summer I faithfully had my UV filter attached to my Nikon on my tripod with low ISO, shooting RAW, etc. and ahhhhhhh!!!! Your focusing zones are helpful too, especially when one is trying to embrace the total vista. Your article is so inspiring during these cold winter months for us fair weather photographer types! Informative article, I will try to put this into practice. That was a good article. Even veteran photographers need a reminder of key points from time to time. Another informative article Spencer. I have been using the 2x focus method for apertures f8 and lower with great success. Regarding a remote release, I use the remote release most of the time when on a tripod. I will work in manual mode in Live View, checking the histogram and looking at the image preview. Before taking the shot I always check the field of view for birds flying into the scene or any other distractions. When the view is clear I trigger the shutter using the remote.. A remote is also valuable for timing wave action, or some other moving object that you want to capture in a particular way. Jim Harmer of Improve Photography did a test several years ago and found the mirror lock up made no difference. I also love the UV filter debate as I grew up with film and always used an UV filter on photos that won awards and published. Now I just use a lens hood. Talking about UV or “clear” filters, I bought a used lens that came with a Marumi filter marked MC-Normal on it. I don’t know anything about Marumi so I replaced it with a B&W UV filter just because I have damaged a lens glass in the past and so keep a UV filter on my lens now. My 3 year old granddaughter was visiting with me and she was eating an orange. She spotted the Marumi filter sitting on my desk and grabbed it. A bit of the juice of the orange was on her fingers and got onto to the filter glass. The result? I have her finger prints on the filter glass permanently now. The orange juice interacted, it appears, with the coating on the glass. The moral of the story – Marumi filters and orange juice don’t mix. Good information…two pieces that were esp helpful that had not heard before…how to do mirror lockup correctly with canon camera and not turning off vib compensation when windy! Thanks for this article Spencer- one of the best articles I’ve read for quite a while – full of the wisdom of experience, and practical advice. It’s such a pleasure reading your articles, Spencer – Informative and helpful, with great examples, and always clear about the nuances. Those of us with 1″ sensor cameras (Sony RX10 & RX100 range. Nikon 1 range, etc) will need to divide by 2.7. I’ve read that, with latest cameras, it’s no longer necessary to turn-off stabilisation when using a tripod … ‘Cos that’s definitely an attractive proposition for me, as I’ve been caught out in NOT turning it back-on when taking my camera off the tripod (with unexpected results!). So; is negative impact on sharpness when leaving stabilisation turned-on with the camera on a tripod truly “a thing” ? And, are there perhaps different results depending on whether one is depending on lens stabilisation versus in-camera stabilisation ? It’s not fully developed or well-rated now but he’s apparently releasing a new version that would capture and freeze smartphone shots including calculations for use of different lenses – would facilitate “checking out” a site from different angles without lugging the whole bag of kit, then returning with only the specific gear wanted for the shoot. Waiting for North America to warm up before trying it out. Thank you for this article. It will serve as a comprehensive guide before going out on a shoot. I live in Florida, which gets some harsh sunlight. As such, I almost always have a UV filter on my lenses. Therefore I ask if there are any lighting conditions in which you would suggest using a UV filter? Also, when I first receive a lens, I test for AF Fine Tune (Nikon). I do such testing without a filter on the lens. If I am going to use the filter on a regular basis, should I AF Fine Tune the lens with the filter on? I recommend doing a test photo with and without the UV filter. I suspect that you won’t see a reduction in “UV” light in your image, simply because cameras already have a built-in filter to get rid of most UV light! It doesn’t matter whether you’re in Florida or anywhere with particularly strong sunlight. My personal preference is to use a UV filter or a clear filter (almost always functionally the same) only in conditions where I also need eye protection, because sand or dust is flying everywhere. Thank you. I will conduct some tests. Hi, on diffraction, I think it’s the size of the hole rather than the f-number that counts. So for 1″ sensors and smaller, f/16 might be well into diffraction territory and not recommended, but for a Mamiya 645 (or a Fuji 690), then f/22 would likely be fine. For 4*5, f/32 and possibly even smaller f stops should be fine. IIRC, of course! However, it isn’t totally accurate to say that the size of the entrance pupil hole is all that matters for diffraction. Instead, it is the equivalent aperture: crop factor × (focal length ÷ physical entrance pupil diameter) — or simply, crop factor × f-stop. For example, a M43 sensor with a 25mm lens set to f/5 is equivalent to a full-frame sensor set to f/10 in terms of diffraction, assuming the same print size. Spencer – as an ancient photographer (age 75) and lifelong writer by profession, I’m always delighted by the care you take with your content and copyediting as a consequence of which your articles are always a delight to read. A small point about sharpness that doesn’t often apply for landscape work: novice photographers may not know that the “inverse rule” is complete nonsense – i.e., the “rule” that you should always shoot at a shutter speed that is at least the inverse of the lens focal length. E.g., 1/250 for a 200mm lens, 1/30 for a 35mm lens, etc. I remember the first photo I accidentally took handheld at 1/500 with an 85mm lens, and how the sharpness startled me. Since then I’ve seen that professionals consistently shoot at the fastest practical shutter speed. I always suggest that newcomers try shooting their next 100 photos at 1/640 to 1/4000 and see if they don’t like the results. Of course, that “rule” flies out the door when you’re shooting with a tripod. There was a detailed study published a very long time ago, I believe it was by the people behind Really Right Stuff, that showed that the human heartbeat (what to speak of breathing and shaky hands) can cause barely noticeable blur in photos taken even at upwards of 1/500. As a generalist / utility / journalist photographer, I always try to remember that subject motion is the very first consideration when setting shutter speed, and beyond that, 1/640 is “the new 1/30.” Cheers to you. See Nasim’s article What is Reciprocal Rule in Photography? George, thank you for the kind words, and thank you for bringing up the fallibility of the reciprocal rule! Even in a perfect world, things would be complicated by elements such as vibration reduction and individual differences in our own stability. So, I am glad you added this! I think 1/640 might be a bit extreme, even if you’re looking for zero blur whatsoever, but I certainly agree with the idea behind what you’re suggesting — that 1/focal length still has a lot of potential to lose sharpness. Advanced photographers who care that they get flawless focus and sharpness, do not use autofocus. Autofocus is not as accurate a focusing method as manual focus with live view magnify. I have proven categorically through endless test photos that autofocus will not correctly focus as sharply as taking the same lens and putting it in manual mode, live view, magnify to 14x and pulling focus flawlessly through manual technique. You want your landscape shot to always be perfectly focused on the area you choose without ever having an autofocus miss? Autofocus is for fast and dirty work where you have no time to manually focus. Manual focus with live view magnify is for serious photographers who want absolute precision with no chance of missed focus. Hi Steven, thanks for adding this. I will disagree with a bit of what you said: Advanced photographers absolutely use autofocus all the time. I’m willing to bet that ~90% of the portraits, sports photos, wildlife images, and wedding photos from top professionals are taken with autofocus, if not more. 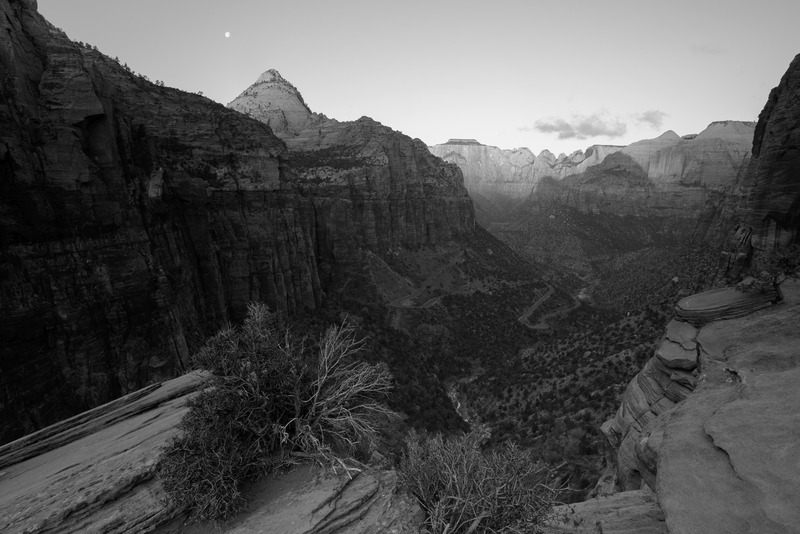 Advanced landscape photographers… They certainly use it less often, but still quite frequently. Based on your comment, it seems like you’re an advanced landscape photographer, and I assume that you rarely use autofocus — but that doesn’t mean all advanced landscape photographers are the same. For instance, it’s quite true that magnifying focus in live view is the best way to be certain that you’ve nailed focus, as you described, and as I described in the article. But at apertures like f/11 or f/16, depth of field will almost always mask minor autofocus inaccuracies to the degree that they are irrelevant. If anyone wants to test it: Use a wider aperture like f/2.8, autofocus in live view, and stop down to something like f/11 to take your photo. Then, reset focus, do the same thing, but use magnified manual focus instead. You shouldn’t see any difference in the focus points of the resulting photos. If you do, it probably means you’re shooting in dark conditions, photographing something with very low (or absolutely extreme) contrast, or your equipment may be broken. I assume you don’t disagree on this point; I’m happy to post examples where I do just that to demonstrate the lack of a difference. Regardless of if we still disagree, thank you for the comments and suggestions for beginning photographers! Thanks a lot for the lovely and very useful article Spencer. Coming from the old film days, I still learn by mistakes for things that did not exist then. One of them is the VR / VC / OIS..
Until I ruined a few shots with my 150-600 Tamron lens, I never would have noticed the disturbing effect of vibration reduction when the lens is on a tripod. It should be turned off definitely. Only yesterday I made the same mistake again with a much shorter lens, and the results are just acceptable but not to my standards. Unfortunately there is no way I can re-shoot; so I feel terrible about it..
..so much in fact that I may keep it turned off all the time. On the other hand it is quite useful, especially for my 65 year old wrists. I also would like to add the effects of haze and temperature differences in the air when going with anything above 300 mm. 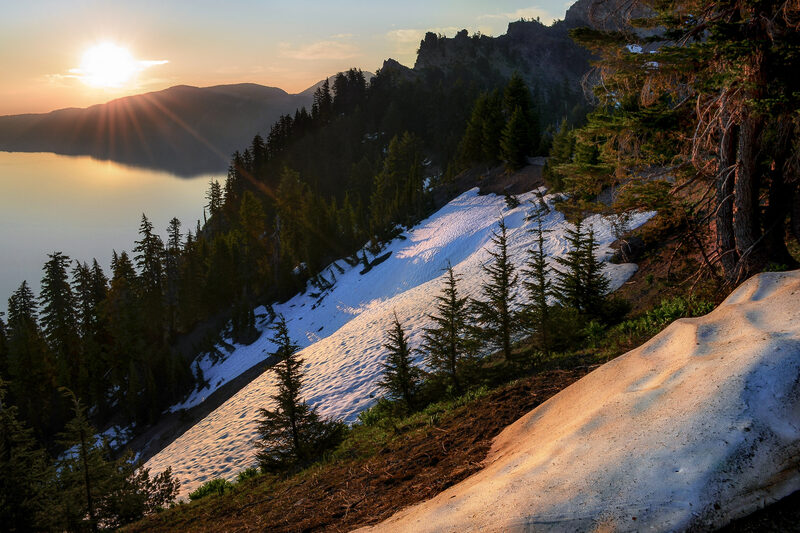 “Good visibility and a clear air” is something extremely rare when shooting landscapes with long telephotos. Thanks for the reminder about stabilization! It’s something I often forget myself when mounting my camera on a tripod. Today’s digital photographer has to be so much more wary than we were back in the film days, when we mostly just had to remember to set the camera’s ASA/ISO to match the film we loaded. The original was terribly noisy and I would not publish or print it as it was; even with standard post adjustments, it simply wasn’t usable. You be the judge, maybe it’s still not up to snuff but I have printed it 36″ x 24″ on canvas and it is impressive from a proper viewing distance. As a follow up to my previous comment, here is an example of a landscape taken many years ago with a Canon EOS 20D 8MP camera, ISO 400, f/16-1/100. Surprisingly, the original is really not bad at all, but not good enough. Some work in Photoshop and again using the oil paint filter turns it into something that is okay, or better. J’accord. Not much wrong, at all. Young people don’t think “photography is cool anymore”. Who ever said that may be right, as I think back on it neither did I, most likely because it was “fine art”. At that age my mind was in other places as well. With the age of digital and digital developing, photography has become very technical, (snapshots from a cell phones excluded) and has allowed the hobbyist and professionals to get a great deal more out of their work from the field or studio; producing some very stunning “Art”. I believe photographers should always keep in mind that what they are creating in the field or studio is art. And, generally good art has a good subject, good composition and good lighting, so that should be the photographer’s main concern. Scene lighting and color capture your vision where scene clarity comes from learned methods, camera settings, and post processing. The later are tools to be used, not things that dictate what your vision and mind’s eye want from the scene. You are the artist; you choose what the end product looks like so make the images satisfy your desired vision. Use the tools and methods learned that will get you to the place that makes you feel good about what you just did. Wow, don’t know where that came from but your article inspired me to write this. I often hear conflicting advice on UV filters concerning good or bad ones. I use Nikon/Nikkor lenses and some Tamron lenses too, and the filter size I’d need is 77mm in most cases. I mostly use affordable Tiffen UV filters. I also use the Hoya NXT 77mm filter – much more expensive than my other filters. Can you recommend a “good” filter? Spencer. I agree with almost all your comments but one: Tripods. I have taken 10s of thousands of landscape pictures handheld using a D810 at ISO64 and use a tripod only occasionally for really low light / night shots. The flexibility that of not having to carry a tripod far outweighs any advantages to me – unless I know in advance its going to be dark. If the shutter speed is down to say 1/15, I will take several shots using VR. Most of them will be sharp (and even slower sometimes). This is using a wide angle lens of course but the majority of landscape pictures will be wide angle. I take multi-shot panoramas also hand held – and with slow shutter speeds. VR is so good these days, it avoids the need for a tripod in many situations and am not a great fan of blurry waterfalls. I am amused to see rows of photographers in bright sunlight using tripods – and sometimes selecting ISO400 with high shutter speeds. For web sharing, sharpness is a given and I print to 3′ size too with no difficulties. Brilliant article. I learnt a lot. I own a Canon 650D with a kit zoom lens. I’m always thinking I should upgrade in order to get sharper photos. I reckon if I implemented all of your suggestions I could save a lot of money by using my current equipment better! I am a beginner in photography. I just want to know in more detail about focusing as all my photos are going out of focus. I read your article as well as all the replies given by various specialists . It has helped me a lot. May GOD bless all of you. I have a strong doubt about viewing thru view finder and magnify 100% and focus sharply on a particular spot – my doubt is after focusing sharply on a particular spot (in the picture that we want to take) should we have to recompose the photo to the original without touching the focusing ring and then take a shot ? otherwise when we focus sharply on a particular point in the photo thru live view and press the shutter release button fully without recomposing it ? And there was I thinking, all the while, that f22 or f32 would solve any problems around DOF ! !